:01- A car comes into view. No implications of the driver can be drawn. The car is passing through what seems to be a residential area. Flowers suggest the time of the year to be maybe spring or summer. Also due to the color of tree leaves spring or summer is the best guess of time given the information at hand. 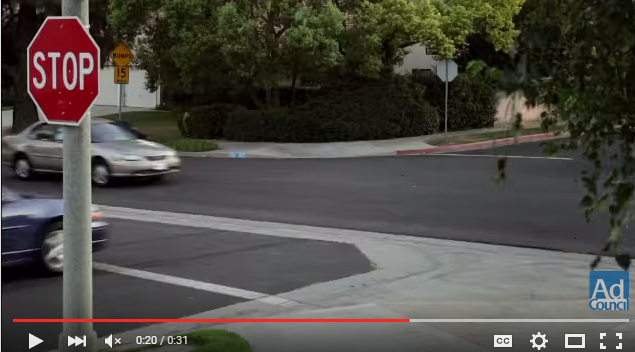 :02- The car moves towards the camera. No brand or make can be distinguished by any markings. Car is a purple color; the car is two-door and looks to be in the lower end range. 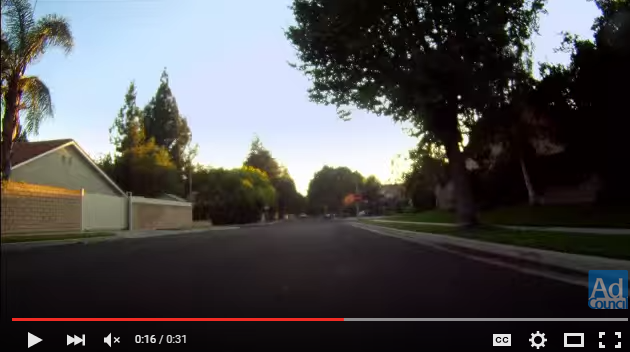 A house is visible behind the car and a mailbox further enforcing the idea that this car is in a residential area. :03- What can be assumed to be the driver is revealed; the driver appears to be in mid to early twenties wearing a pink shirt and cold necklace. Where could she be going? She is dressed for school, or maybe just to run errands. A car is parked on the side of the road and recyclable and trash containers on the side of the road confirm we are in a residential area. :04- Something caught the eye of the driver as she continues down the street. What could it be? A phone? A GPS? :05- :06- The “new text message” notification makes it extremely evident that this is what our now distracted driver was looking at. Who could it be from and what could it be about? :07- Due to this flattering face it can be imagined that the phone is now on her mind. She is not focusing so much on driving and more on what her new text message could be. :08- More flattering angels reveal that shes not focusing on the road as much as she should be. What could be on that phone? :09- The phone becomes the only thing in focus revealing that to be the focus of the drivers attention as was expected. Through the blur her eyes can be seen looking at the pink phone. 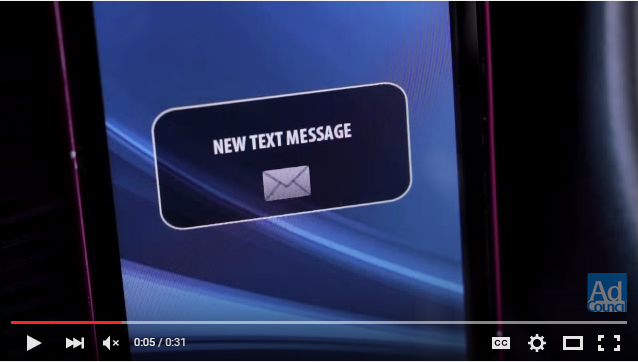 :10- The driver reaches for the phone, most likely she plans on responding to the “new text message”. :11- :12- The drivers eyes are looking down, which is not where the road is. Changing scenery confirms that she is still moving. The question still stands on what the message from the phone is, however that’s probably of little importance. :13 A changed facial expression shows interest in the phone. She should be showing interest in the road. She is obviously either happy with what she is reading, or it was funny. 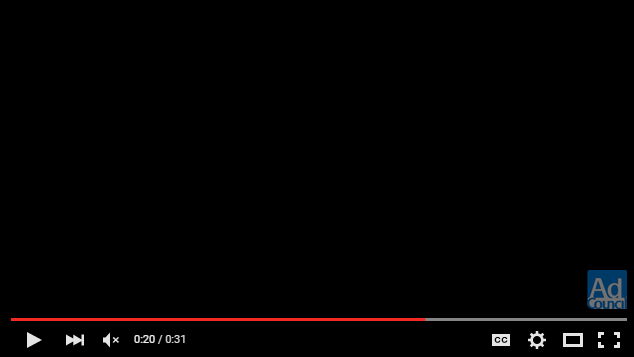 :14- :15- The screen goes black to allude to impending doom or action. Perhaps the black flash is analogous to her wavering attention. :16- The screen flashes this image before going black once again. The driver is viciously typing on her cell phone. It can be assumed that she is looking only at her phone at this point and not the road. :16- :17- Another image appears for only half a second before flashing back to black. The car continues going down the residential road. Judging by light placement on the wall and trees to the right it can assumed that it is early in the morning or dusk. :17- The camera quickly pans from her phone to her arms to her face before flashing to black. Something is about to happen as we as little knowledge about whats going on on the road. She shares our lack of knowledge. 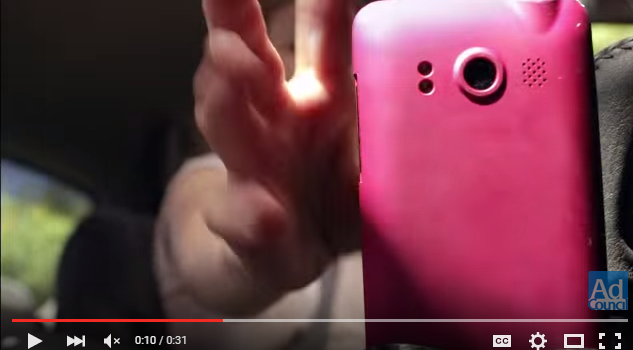 :18- Another image flashes on screen, this time the women phone. It is now held at the wheel of the car as she types on it, only paying attention to the phone. She keeps on hand on the wheel. :19- The driver, who is not paying attention to the road, runs a stop sign (not visible). To the far left we can see another car coming into frame. Ahead we see more housed an parked cars and either the sunset or sunrise. Due to the speed of the car, it is safe to assume our driver is headed forward and not turning. :20- The stop sign is visible as the two cars head towards each other. This is not a four way stop so the silver car has the right-of-way to continue. :20- The drivers looks up from the phone and presents a look of surprise as she realizes she ran a light and is about to be hit. 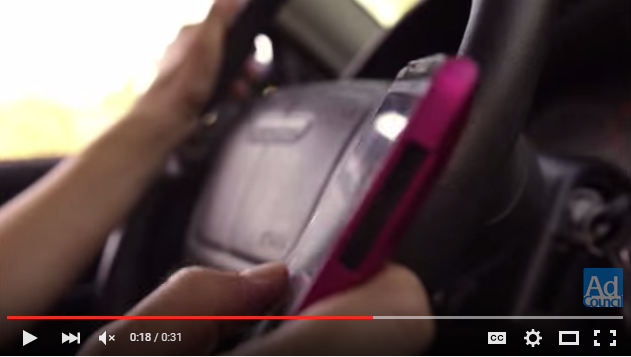 :21- The screen flashes to black as our distracted driver crashes into the other driver. This can be interrupted even though it is not shown. 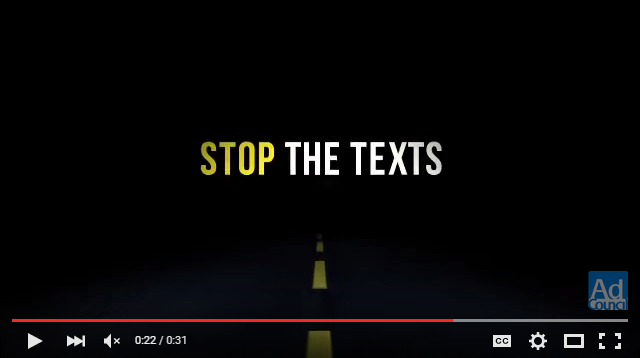 :22- “Stop the texts” appears on the screen with a moving road graphic beneath it. Stop texting and driving perhaps? 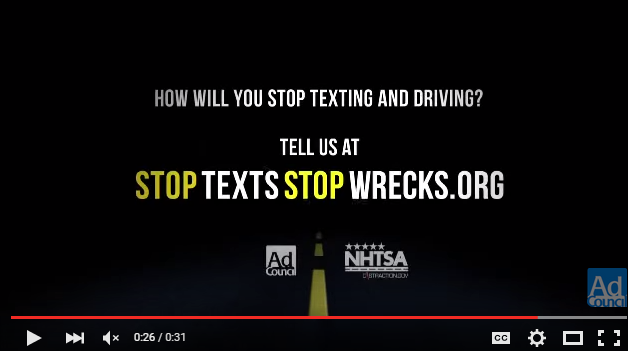 :23- :24- “Stop the wrecks” appears under the other message. 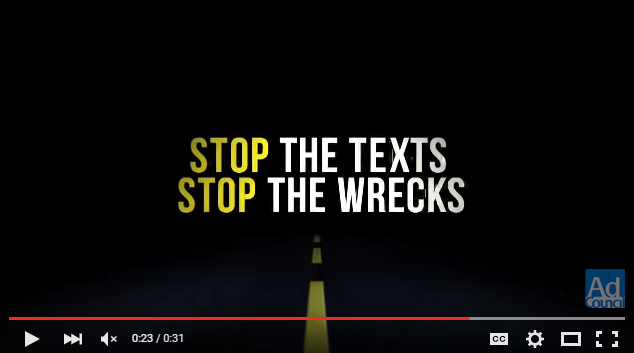 The message of this commercial becomes clear; texts can wait. Do not text and drive. :26- :31- The commercial ends with this screen. 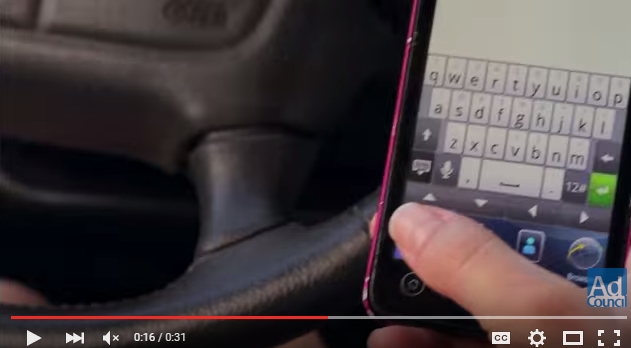 This screen makes it clear that this was a texting and driving video. 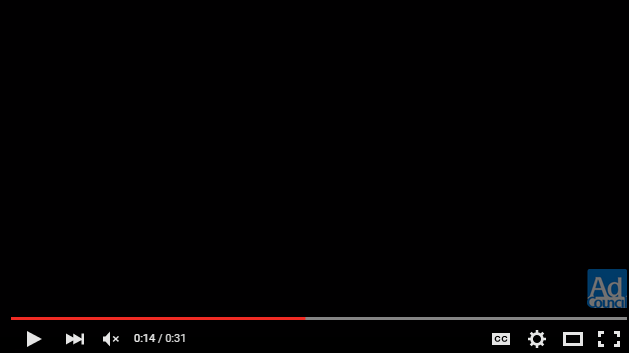 Color changes emphasize words for importance and the foundations at the bottom show who sponsored the video as well as who created it. The purpose of this ad is to show how easily distracted driving can lead to accidents both major and minor and to hopefully show people the dangers so they will not make the same mistakes. This entry was posted in A02: Visual Rhetoric, themrpublicdisplayname. Bookmark the permalink. 01. I see already that your plan will be to examine every frame without knowing in advance the outcome of the spot. It may seem early to be making predictions based on so little information, but as viewers we always do. For example, we can usually tell at a glance when a spot will be an ad for a new car. Does the setting suggest a range of possibilities? Will the ad likely be for a consumer product? Does that particular neighborhood with its iron and brick fences and perfect hedges eliminate any sort of message? 02. Good details. You have eliminated new car ad without saying so. Go ahead and say so. 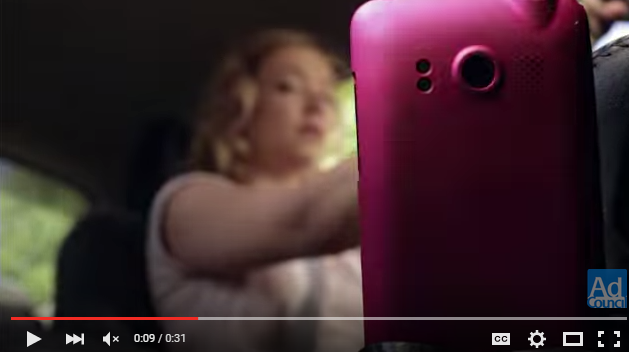 The makers of the spot undoubtedly avoided using a brand new car for exactly this reason. Say out loud everything that you learn about what is possible and what is not possible as you proceed. 03. I like your “what can be assumed,” PDN, but on what is that assumption based? Does the view of the neighborhood match what we’ve seen the car drive through? If she were driving through a downtown scene or a prairie, we wouldn’t draw that conclusion. So let us in on your thinking. 04. Remember, your reader does not get to watch the spot while reading your description. Maybe you misunderstood. These screencaps you’re sharing are for your class and your instructor, to help us keep track of your commentary. But your reader is completely dependent on your reports to visualize everything. 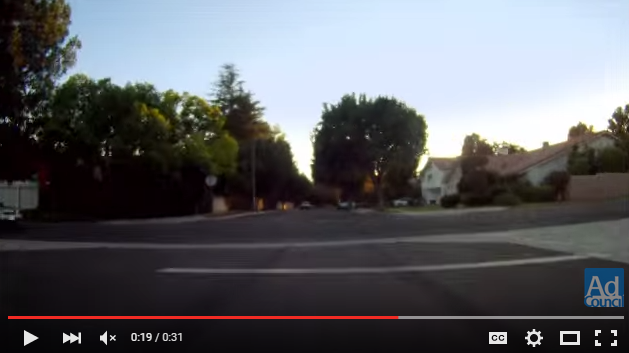 Where do you get the idea that the driver has become distracted from the road? Fill us in. 05. Make some claims about this visual. Is the interface recognizable? 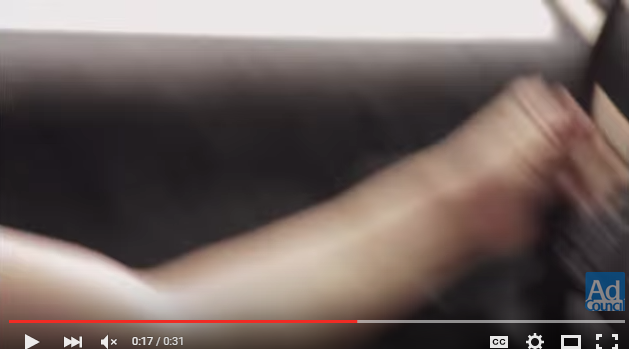 Is the phone a known brand? Why or why not? Why does it fill the entire screen? 07. Again, saying “this flattering face” to me, who can see the screencap, is meaningful, but to a reader who can’t see it, the phrase will mean nothing, or possibly the wrong thing. 08. You don’t mention, for example, that her eyes are closed. That’s a good indication of her inattention that you should share. 09. Good work, but we don’t know that the shot is taken from behind the phone, so that the phone still occupies most of the screen. 11. 12. Two more punctuation errors. Good observations regarding her eyes, what they are and are not looking at, and the receding background. 14. 15. Yes perhaps. It’s a brilliant device that accomplishes two of the three suggestions you offer. 16. Problem: this image. Good assumption. 17. Nice. Now what do the repeated black screens mean? Also: the blue fades to yellow sky indicates morning as a blue fades to pink or orange sky would indicate evening. 17 again. Would you concur that the quick cuts, intercut with black, plus the quick motion and blurred images of what we do see disorient us? Worry us? Suggest that we are or she is out of control? 19. You do know it’s a stop sign, though, right, PDN? What’s the obvious clue in the frame? Clever about heading forward. What indication do we have (or have we ever had) of her speed? 20. “Head toward each other” means they will collide head on. Is that what you mean? The crossing car is not headed toward our girl’s car, but hers is headed toward it. See the difference? You can’t call it “the silver car” unless your reader is looking at the video. Very good information, though, about the situation. 20 again. Her reactions are more numerous and important than mere surprise. Break them down. Also, she didn’t run a light. And she isn’t about to be hit. 21. You’re hurrying to finish this assignment if your typos and faulty claims are evidence. This can be “interpreted.” I let half a dozen others go before I mentioned this one. 22. 23. 24. Oddly, you don’t mention the connection between the yellow “STOP”s and the STOP sign the girl ran. One other thing. Any significance to the fact that we appear to be driving right down the middle of the road? Some very nice work here, PDN. You can’t have expected that I would want you to be so thorough, and you probably didn’t understand that you were to be your readers’ only source of information. Were these helpful comments that will improve your Rewrite? Reply, please.